Larry Acquaviva was born on the east side of Detroit in 1965. Music was the first thing he gravitated towards. After high school, he tried some college, then hitchhiked across America in search of his muse. He met the boys of Widespread Panic in Athens in the fall of 1987 and traveled with them for five years, then set out on his own in 1992. He married his wife in 1995, and since then has produced radio plays, films, and children's books, recorded hundreds of songs, and played live countless times. He has traveled all over America, up into Canada, down into Mexico, and through Guatemala. Over the course of four years, he has written seven books. Since meeting in high school, he and his wife have lived in Michigan, Georgia, Texas, and Georgia again. They have no children and one cat. 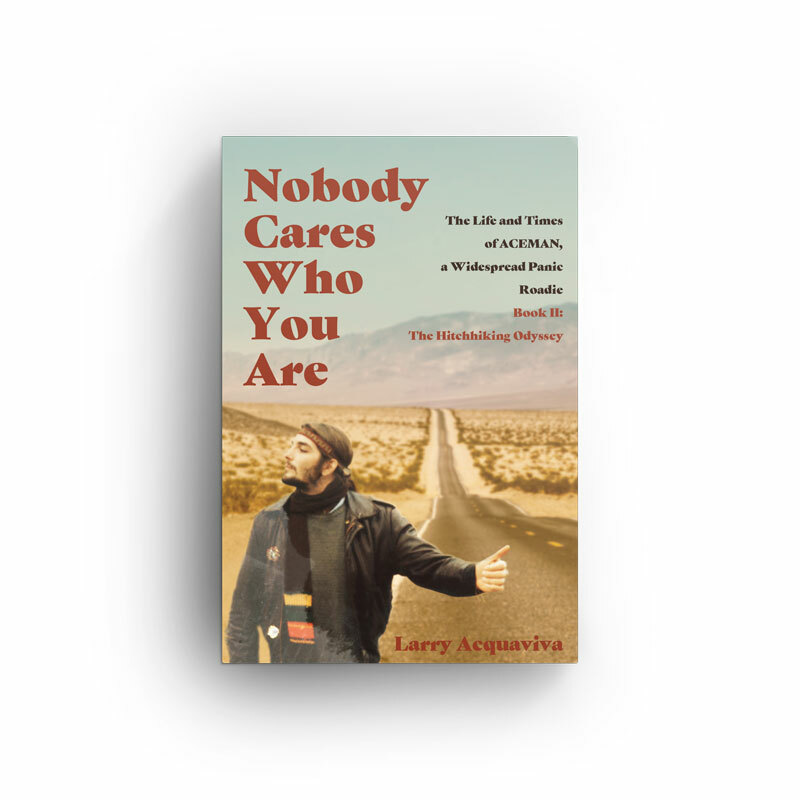 Nobody cares who you are; it was a sentiment I became all too familiar with as I was growing up. It's what the city of Detroit was all about. But by the time I met the boys of Widespread Panic in October of 1987, I didn't give a damn that nobody cared who I was. By then, I had found the music, and a group of boys who were about to show me just how powerful that music could be. From that point forward, the only thing I cared about was living, breathing, and sleeping with the sound. And the boys of Widespread Panic showed me exactly how to do that.